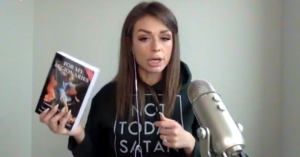 Following last week’s debacle surrounding her event blaming immigrants for the collapse of the white race at Wilfrid Laurier University, the former Rebel Media host connected over YouTube with Ayla Stewart, a white supremacist Mormon blogger whose extremist ultra-right views were publicly condemned by the Church of Jesus Christ of Latter-day Saints. “This one is a little bit edgier,” Goldy concedes. The book’s author, Corneliu Codreanu, was the “founder and leader of (Romania’s) principal fascist movement” who has lately become a minor cult figure within certain corners of the white nationalist alt-right. Following last summer’s deadly white supremacist rally in Charlottesville, some at the hate rally were photographed wearing shirts bearing Codreanu’s image. In a BBC interview, Holocaust historian Radu Ioanid said Holocaust survivors had told him “the resurrection of Nazis” disturbed them deeply – when someone scares a Holocaust survivor, “it means we have a problem,” he added. ​It seems implausible anyone who looks more than two seconds at the book Goldy is recommending could miss the book’s blatant and explicit anti-Semitism. The Table of Contents alone includes chapters with titles like “the plans of Judaism against the Romanian nation” and “the attitude of the Jewish press” – the largest section of the book is dedicated to “the Jewish Problem” (also referred to as the “Jewish Question”). 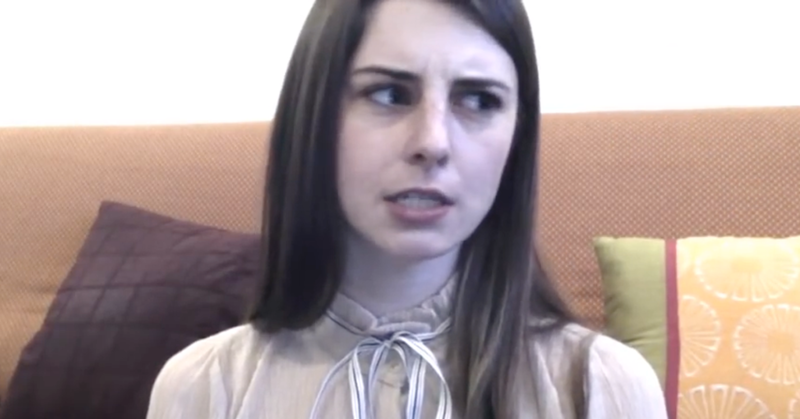 Which begs a question for the alt-right event promoter who invited Goldy to Laurier – does Lindsay Shepherd still believe Faith Goldy is the furthest thing from a “white supremacist” or a “neo-Nazi”? Stewart claims she’s the victim of a “smear campaign” by the Salt Lake Tribune, which reported that her blog falsely cited “Mormon scripture as evidence that races should be separate,” leading the LDS Church to condemn white supremacy. Stewart did not dispute being identified as a white supremacist. Update 2: In an e-mail sent 18 minutes later, Faith Goldy directed PressProgress to a set of tweets responding to this story claiming she did not finish reading the book, which historians have compared to Mein Kampf, before endorsing it. Goldy – who previously appeared on a neo-Nazi podcast, recited a creed written by a neo-Nazi and endorsed a manifesto calling for an “ethno-state” for the “Aryan” race – now says she no longer endorses the book. Sounds like Lindsay Shepherd’s 15 minutes of fame are up. Shepherd, the infamous Wilfrid Laurier University teaching assistant who vaulted into the national imagination thanks to Canada’s right-wing National Post, managed to shoot herself in the foot this weekend after releasing a video complaining “white nationalism” gets a bum rap from “the Left” these days.